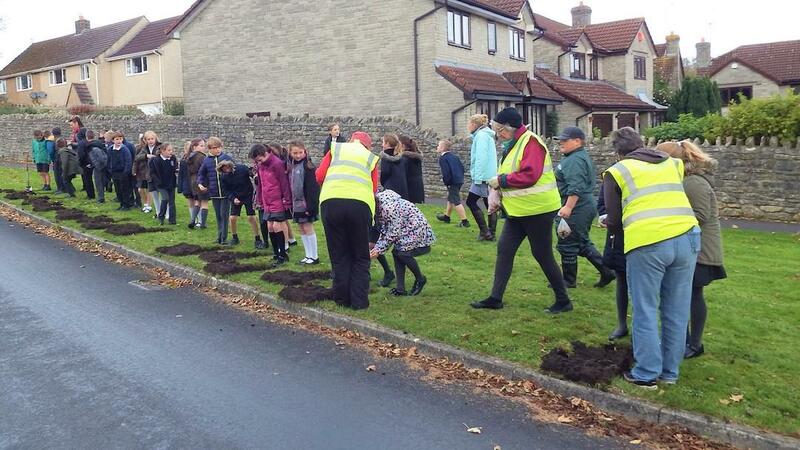 Tony Quinn attended the planting of 1000 crocus corms in Park Road Paulton by the members of Pride in Paulton and very ably assisted by the children of Paulton Primary School. They planted a 50 yard stretch of the grass verge alongside the 1000 planted in 2016 along the centre of the grass area. 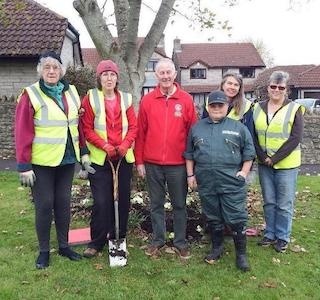 The crocus corms were donated by the Rotary Club of Chelwood Bridge as part of the awareness campaign Purple4Polio which is supporting End Polio Now, Rotary International’s drive to rid the world of this awful disease. Tony explained to the children the reason for the purple colour of all the crocuses. That is the colour ink that children who are being vaccinated have marked on their little finger to indicate that they have been vaccinated. Many thanks to all concerned especially Gail Garlick and her team. Rotary International through its 1.2m members has been at the forefront of the Global Polio Eradication Initiative since 1988 when there were 1000 cases a day in 156 countries. Now there are only two countries where polio is endemic, Afghanistan and Pakistan and so far in 2017 there has only been 12 cases in total. The countdown to zero is on the way!